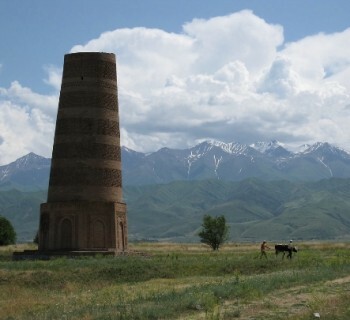 Central Asian states, Turkmenistan - not thea popular tourist object of interest because of the relatively closed world policy, pursued by the Government. 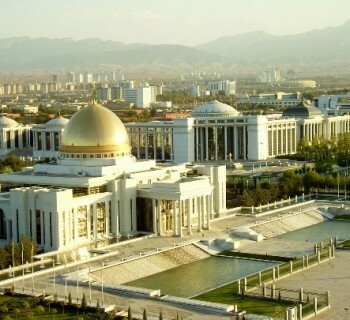 But if the coveted permission to enter managed to obtain, there is no doubt that the holiday leave the most favorable impression, because Turkmenistan's rich culture, unique and surprising. In modern Turkmenistan overwhelmingthe majority of the population is Muslim. Other religions represented by a small number of Christians, Catholics and Lutherans. Zoroastrianism and Nestorian Christianity - By the way, in ancient times the territory of modern Turkmenistan specific religion were common. Historians and archaeologists believe that the latter was the center of the old town, the ruins of which are included in the UNESCO World Heritage Site. It was called Merv and was founded at the end of the III millennium BC. Then the city was the capital of the Seljuk, and today its ruins are a valuable archaeological site. One of the most important components of cultureTurkmenistan - its unique arts and crafts. The main and the oldest among them is the carpet, and the masterpieces produced by Turkmen masters are durable and special beauty. The biggest carpet woven by craftsmen, is listed in the Guinness Book of Records. Its area was 300 square meters. m.
Turkmen carpet repeats patterns of ancientpottery found by archaeologists in the ancient mounds and datirumoy IV millennium BC The oldest surviving carpets today already more than a thousand years, and he still serves as an autograph created it masters of Pazyryk culture "Scythian circle." In the culture of the Turkmen carpet is not only servedbed and shelter the entrance to the tent, and carried a special sacred significance. The quality of available human carpet judged prosperity and social status. Carpets even revered symbols of power, and in modern Turkmenistan established an official state holiday - the Day of the carpet. Parthian city of Nisa, founded in the III century BC King Mithridates and served in the medieval trading center of the Silk Road.